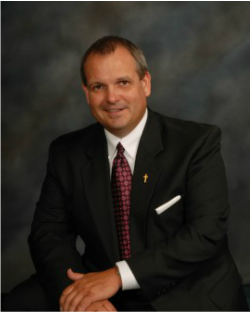 Pastor Lee has been leading BCC since 2008. Lee's vision for BCC is for it to be a place where people learn to love, serve, and grow in their relationship with Christ. Lee oversees the ministries here at BCC as well as being the primary teacher on Sunday mornings. Before pastoring at BCC, He taught agriculture/FFA Advisor at West Craven High for thirteen years before becoming an Administrator at the school for seven years. Lee also has two children, Grace and Isaac.